There are many who question the need and motive behind having an expensive getaway on company money. But the way its popularity soars, the concept doesn’t look anywhere close to losing its sheen. A major chunk of the world’s hospitality machinery is working on the premise to help organize successful off-site corporate meetings. 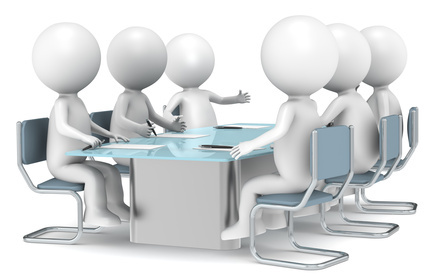 How to Plan a Successful Off-site Meeting? As simple as it sounds, it’s the key to the whole point of this exercise. The off-site corporate event planning should never be done- ‘just because’. ‘Just because it’s the usual time of the year to do this’ or ‘just because every other company is doing it’, or even ‘just because my team and I need to look busy’. All these are non-concrete reasons. Too much money and effort is spent on this event and it’s your duty to have a valid purpose behind it. Is the purpose motivational, or help team building efforts or announce a new project or to applaud a good year? Is the purpose to get everyone in one place to thrash out new ideas and make policy or structural changes? Think about it all before moving ahead. Once the purpose is set, have clear defined ideas on who the participants shall be. Give them a heads up as soon as possible. Have them mark it on their calendars to avoid any clashes. For this, make sure you start the planning process many months in advance. If it’s a small group of senior level managers at a city auditorium or a huge group of employees taken to an adventure park, there is no success in the offsite event without all the key participants. Draw up formal invitations and be ready to share a lot of information back and forth via mails. All right, so it’s an off-site. Where will it be? You should consider taking inputs from the attendees. You may be thinking a plush Hotel auditorium, the attendees may be hopeful for a resort away from the city. Take a quick vote if possible. You can’t please everybody, that is obvious, but at least there will be a major consensus. Think outside the box… do a recce around the city if it’s a one day conference; you never know what jewel of a place you may find. Keep your options open. How many days is it? Who will present? What will they present on? Topics, people, break sessions, recreation etc. etc. should all be broken down to the minutest detail. Give time lapses just in case as well. Build a rapport with the session speaker or speakers and inform them on what the purpose of meeting is or meeting agenda. Be sure to provide him with all the information to enable him to conduct it successfully, especially if you are bringing in someone from outside. This is by far the most painstaking aspect of arranging an off-site. The details of transport, food, budgets and bills should leave no room for error. Also consider how much money or converted currency will be given to the participants in case of requirement. If it’s an off-site within the city then details of local cab arrangements or if it’s in another city, or county, then you need to go into the details of visa, airline tickets, airport pick up and drop and allocation of hotel rooms. Did I mention there can be no room for error? Let me say it again… do not leave any room for error! God forbid the wrong person lands up at the wrong time at the airport! Plan the recreational activities as minutely as you plan the sessions and meetings. People don’t want to go all the way to a new place and not see it at all. This is the most underrated aspect of a meeting or event. But it actually takes up almost as much time as planning meeting. More so if not thought about beforehand. If you are organized through-out the process then wrapping up will be a piece of cake. Keep all the bills well-filed. Collate the meeting minutes or conclusion to the events systematically. Send out thank-you notes and make sure you share pictures with the participants. Make all the payments on time and be ready to discuss the success or flaws of the off-site in detail with your Manager. Wishing you all the very best in planning your off-site meeting! Please feel free to share your inputs as well.